How strong are you? 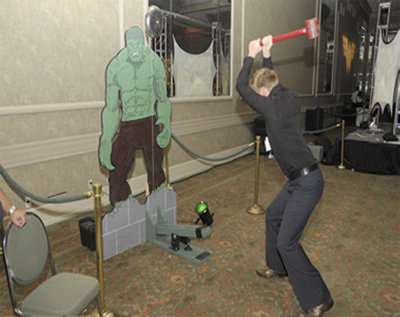 Find out if you have what it takes to ring the bell on the Hulk Hi Striker. Swing the hammer and see how close to the bell you can get. Size: Height: 7ft. Width: 3ft. Depth: 4ft.